As the kids enjoy their summer break and family gatherings become a weekend must, NOAH has you covered with some great summer tips to keep you and your family safe while still having fun! Firing up the grill maybe be the largest safety hazard of the summer season. Use caution when grilling with open flame and be careful when using charcoal lighter fluid. 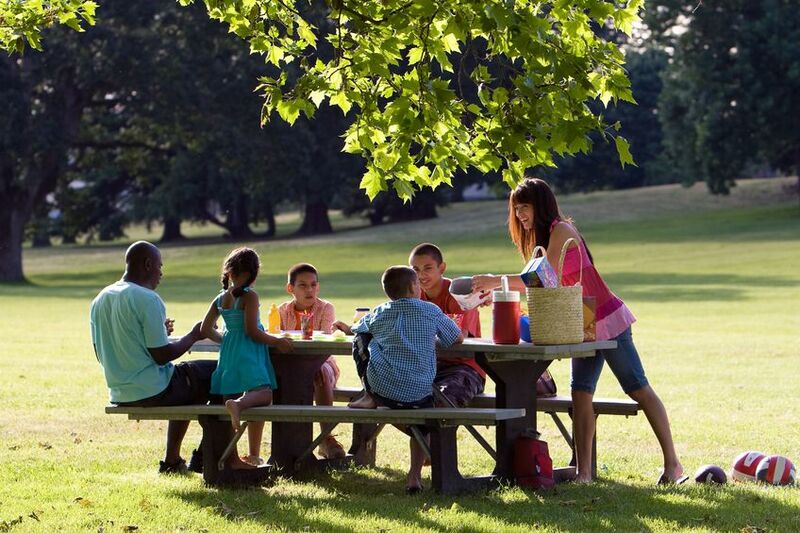 In addition, food safety is easy to overlook at summer picnics, but these warm weather gatherings can lead to foodborne illness if proper food preparation and handling are not followed. When prepping and cooking, make sure you use these tips to ensure your food is safe to avoid getting your family or guests sick. •	Keep cold food cold. Place cold food in a cooler with ice or frozen gel packs. Cold food should be stored at 40 °F or below to prevent bacterial growth. Meat, poultry, and seafood may be packed while still frozen so that they stay colder longer. •	Organize cooler contents. Consider packing beverages in one cooler and perishable foods in another. That way, as picnickers open and reopen the beverage cooler to replenish their drinks, the perishable foods won’t be exposed to warm outdoor air temperatures. •	Keep coolers closed. Once at the picnic site, limit the number of times the cooler is opened as much as you can. This helps to keep the contents cold longer. •	Don’t cross-contaminate. Be sure to keep raw meat, poultry, and seafood securely wrapped. This keeps their juices from contaminating prepared/cooked foods or foods that will be eaten raw, such as fruits and vegetables. •	Clean your produce. Rinse fresh fruits and vegetables under running tap water before packing them in the cooler — including those with skins and rinds that are not eaten. Rub firm-skinned fruits and vegetables under running tap water or scrub with a clean vegetable brush while rinsing with running tap water. Dry fruits and vegetables with a clean cloth towel or paper towel. Packaged fruits and vegetables that are labeled “ready-to-eat,” “washed,” or “triple washed” need not be washed. •	Slip on a shirt, slop on SPF 15+ sunscreen, slap on a hat and wrap on sunglasses. •	Seek shade during the sun’s peak hours between 10am – 4pm. •	Check the UV Index to identify the times that pose the greatest risk for overexposure to the sun. Bugs and pests are more prominent during the summer months and many of you may use repellants or pesticides to keep your home free of unwanted insects. Use caution when applying these chemicals and look for products that are labeled child and animal safe. Keep those pesky mosquitos away from your home by removing any standing water in containers in your yard. This is a breeding ground for these pests. If you spot a nest of stinging bugs, like wasps, be sure to call the pro’s, they have the proper tools to remove these unwanted pests without causing a bigger problem.